(Updated at 12:40 p.m.) Police are investigating a dead body found between Windy Run Park, in north Arlington, and the banks of the Potomac River. 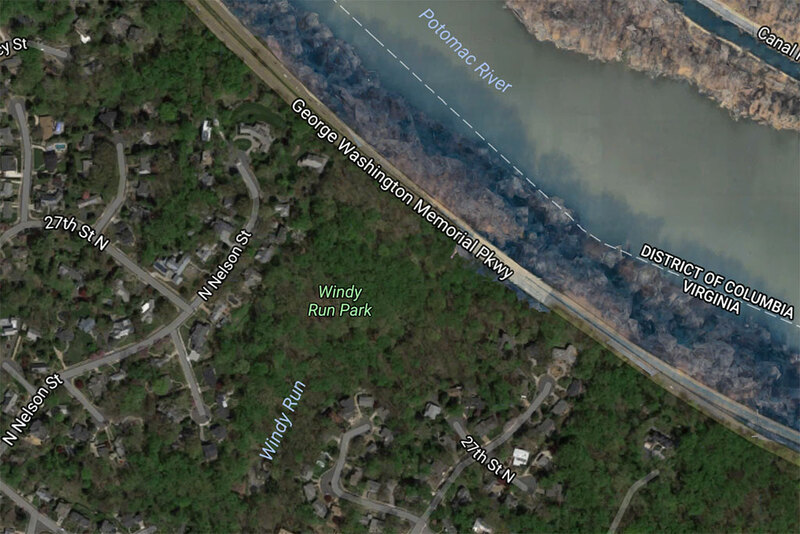 U.S. Park Police, as well as Arlington County police and firefighters, hiked to the scene after someone alerted authorities to a body spotted in the rocky, wooded area along the river and the GW Parkway. The body is that of a man, according to Park Police spokeswoman Sgt. Anna Rose, contradicting initial reports that the deceased was female. Rose did not have any additional information.